I’ve photographed a number of conferences over the years. During these events I’m listening to the keynote and workshop speakers as I work my way through the room. Since I’m often in and out of the room a few minutes at a time, maybe more eavesdropping than listening. Many of these speakers have been informative. Some have been entertaining. A few have been funny. Some, though, have a special charm that combines all three qualities. Susan Seay is one of those charming speakers. Susan and I met at a Hearts at Home conference in Normal, Illinois, several years ago when I photographed the event at Illinois State University. A wife to one husband and a mom to seven children in Austin, Texas, she was just getting started as a speaker back then. 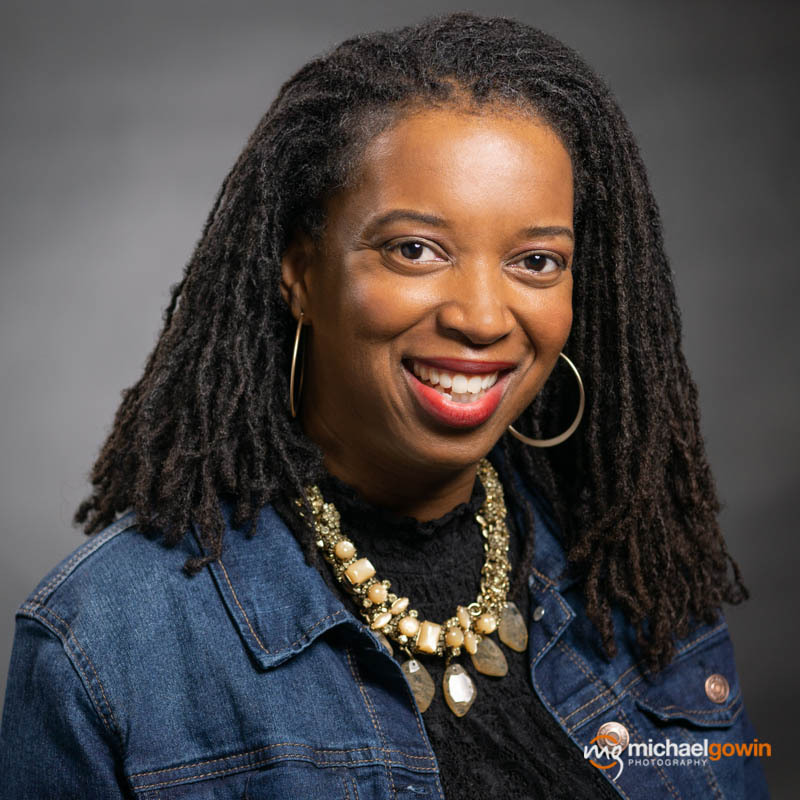 Check out her website and you’ll see she’s written a book, runs a podcast, speaks at conferences around the country, and has been featured on numerous radio shows, podcasts, and publications. And she’s still married and parenting those seven children. A headshot is an important marketing tool for a speaker and author—a good photograph helps build trust and credibility. Susan messaged me to say she’d be at the Hearts at Home 2.0/Ignite the Family conference back in Normal on March 15-16. The conference was being held at ISU again in the Braden Auditorium and would bring 1,500 women to town. Susan wanted to update her headshots and wondered if we could get together to do that. Fortunately for both of us, my buddy Scott Sarver from Broadleaf Video had asked me to help him shoot photos and video for the conference. So, yes, I’d be on site and, yes, we could easily make new headshots. Scott was already planning to make headshots for other conference speakers so he had a “studio” set up backstage in the auditorium. When I arrived at the conference on Saturday, Susan and I took a few minutes that morning to put Scott’s studio to use. Once we finished her pictures, Susan returned to her speaker table in the expo hall where she met and chatted with the women attending the conference. Susan also spoke from the stage that afternoon and had the audience—including me—in stitches. Lots of stories about the challenges and joys of raising a large family. Unsurprisingly, dinner plans get lost in the midst of busy days running from one activity to another: the Seay family are frequent flyers at Chick-fil-A. The conference wrapped up and I sent Susan the proofs from her session. She chose the two poses you see here. Since Susan’s “brand” is all about connection, I wanted to make sure her new portraits conveyed kindness, warmth, and humor—I think we got it. My sincerest thanks to Susan for the opportunity to make her pictures. If you find her speaking at a conference or podcast in your neighborhood, I hope you’ll take the time to enjoy her stories. Need a New Headshot For Your Business? If you’re a speaker, author, or business professional in central Illinois (Bloomington/Normal, Springfield, Peoria) and need a professional headshot for your website or LinkedIn profile that builds trust, I’d be happy to help you.